4 Way Chop in the $600 Mega Stack! 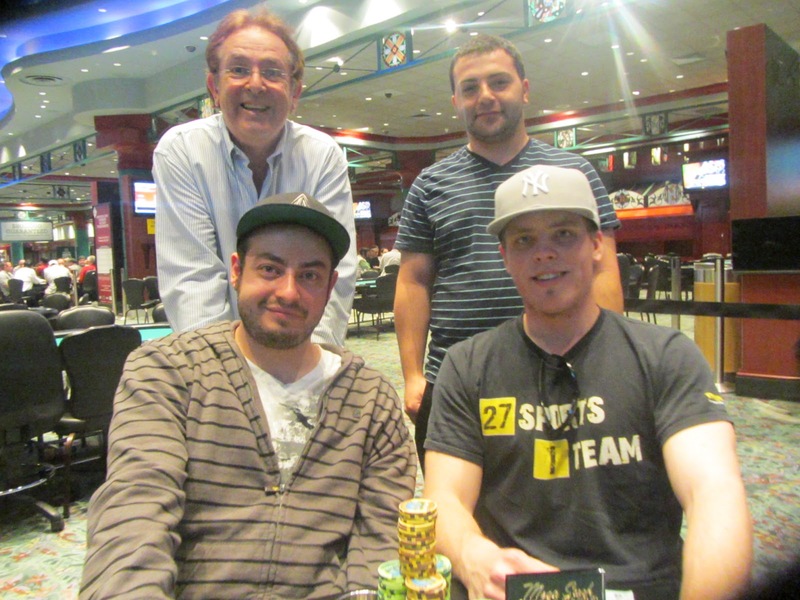 At the final table of the $600 Mega Stack, Alex makes quad deuces to eliminate CHris Schonbach in 6th place. 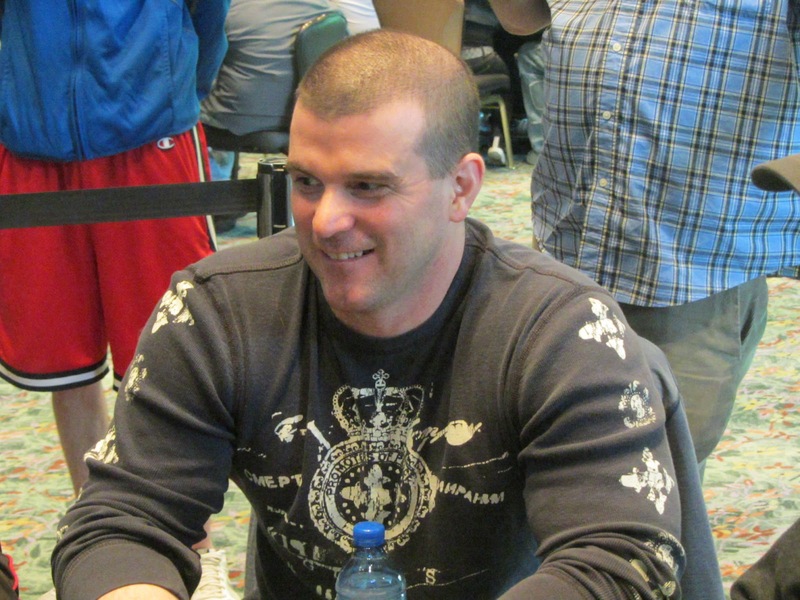 William Miller was all in preflop with [Kd][Qh] and was called by Vazgen Garigyan holding the [9c][8c]. The [Td][2h][Ts] flop was good for William, but the [Jh] on the turn gave Vazgen 10 outs to a straight or a pair. 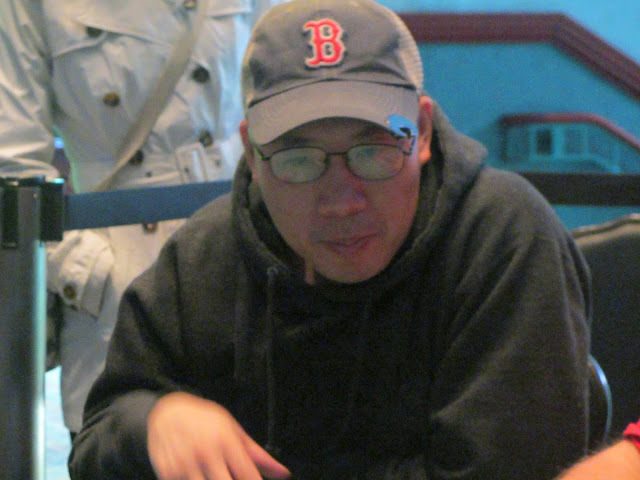 The [7d] on the river sealed William's fate, and he was sent to the payout desk to collect $10,031 for his 5th place finish. Chris Schonbach was all in preflop holding the [7s][5s] against the [2d][2c] of Alex Peterson. 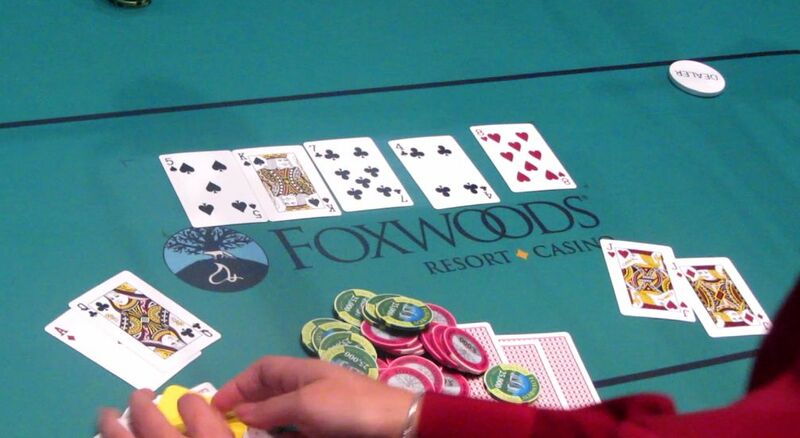 When the flop fell [3d][3s][4h], Chris picked up 13 outs to beat Alex. But Alex had other plans, as the [2h] hit the turn to leave Chris drawing dead. To add insult to injury, the [2s] hit the river to make Alex quads. 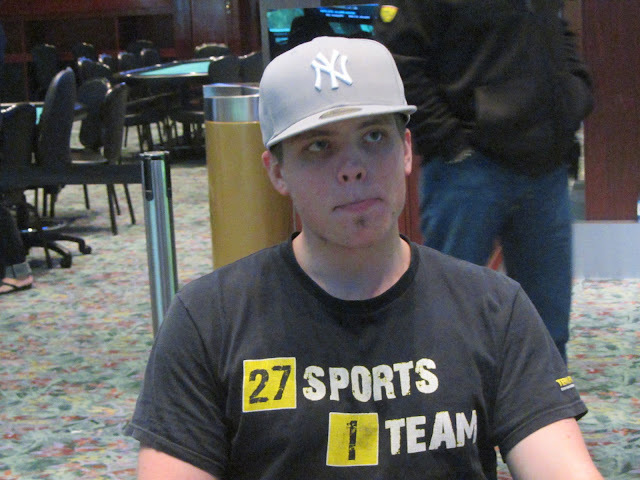 Chris will exit the tournament in 6th place, good for $8,098. The six remaining players are now back from their dinner break and are playing 30,000/60,000 blinds with a 10,000 ante. Jeff Wang was eliminated in 7th place when Chris Schonbach rivered a straight holding K-Q. Jeff will collect $6,718 for his efforts. 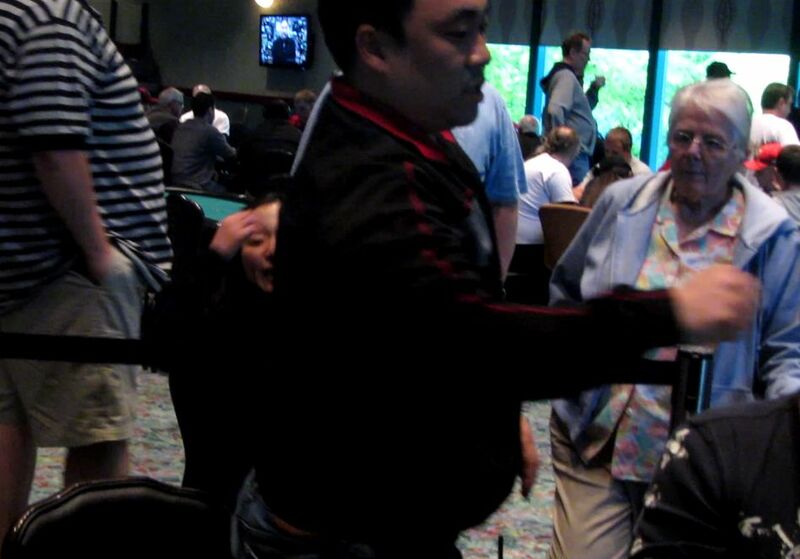 Christopher Lim was all in preflop holding [As][Th] against the [Ad][Kh] of Alex Peterson. Lim picked up a straight draw by the turn on a [6d][3h][7c][9h] board, but the river fell the [Ks] to send Christopher to the rail in 8th place. He will collect $5,429 for his efforts. Alex Peterson was all in preflop holding the [Qs][Qc] against the [Kd][Jd] of Justin Schwartz. When the flop fell [Jh][Td][9d], Justin picked up a straight draw, a flush draw, and a draw to trip jacks. Alex was a 55% favorite after the flop, and when the turn fell [4c], he was a 72% favorite. 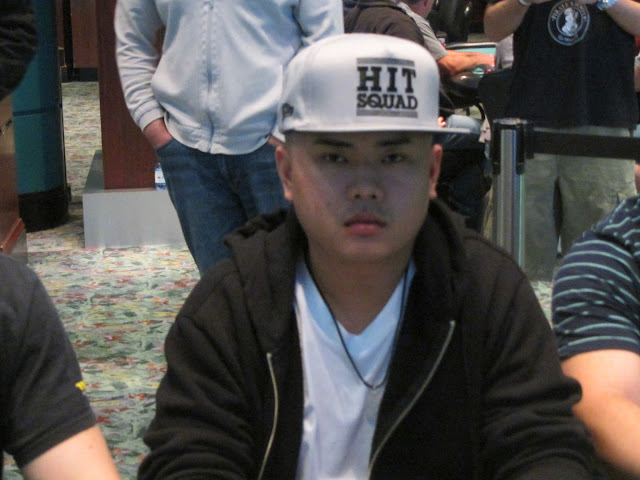 Justin was unable to eliminate his third opponent when the river fell the [2h], giving Alex the double up. He now sits on about 900,000. Patrick O'Brien was all in preflop holding the [Ad][Qc] against the [Jh][Jd] of Justin Schwartz. Justin's jacks held strong through a board of [5s][Ks][7c][4c][8h], and he will make his second elimination at this final table. Patrick will collect $4,436 for his 9th place finish. In a brutal set over set situation, Tyng Low was on the wrong end with a set of sevens against Justin Schwartz's top set of queens. 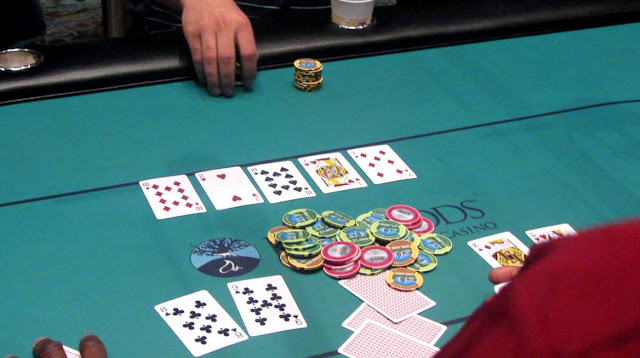 Tyng was all in on the flop, and he could not manage to spike his one outer to survive. He will exit the tournament in 10th place, good for $3,036. The final 10 players have been re-seated and are now continuing the 15,000/30,000 blind level. You can watch all of the action live at www.FoxwoodsLive.com. The remaining 16 players are now on their first break of Day 2. When they return, they will be playing 10,000/20,000 with a 3,000 ante. All players are guaranteed at least $1,748, and when the next player busts out, there will be a pay jump to $2,300. Cards are in the air for day 2 of the $600 Mega Stack. 25 players remain, and each are guaranteed at least a $1,398 payday. First place is worth $43,804. You can watch our live featured table at www.FoxwoodsLive.com. With 25 players remaining, play has concluded for the night. Players will return at 12pm to play down to an eventual winner. With the elimination of our 41st player, the remaining 40 players are now in the money. The tournament will play the remainder of this level and one more level before completing for the night.